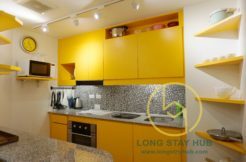 A luxury condominium apartment located in the center of bustling Chiang Mai city. Sale: 6.9 Million THB. This room comes with spacious living room connecting with I-shape kitchen fully equipped with appliance. 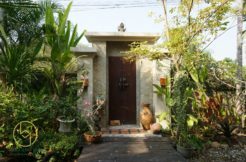 It is within easy reach of the world famous Chiang mai bazaar , the city’s beautiful Ping River , eating establishments and the ancient walled city. Spacious living room connecting with dining area.